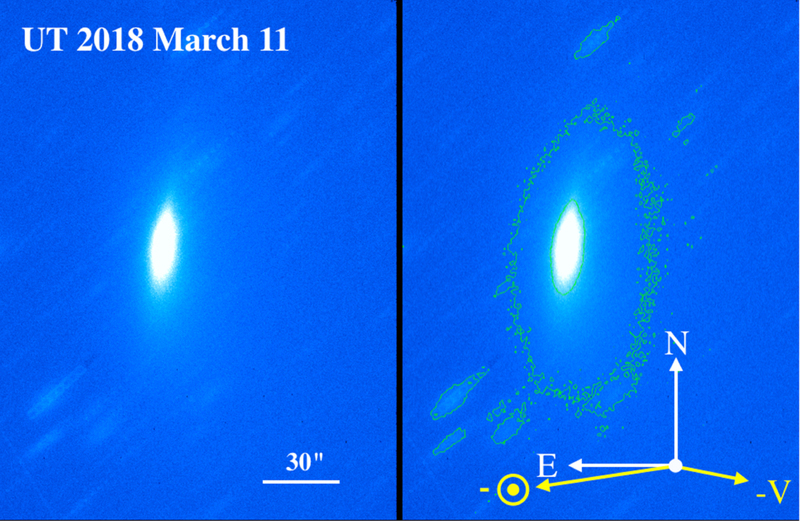 Left: R-band image of C/2014 B1 taken UT 2018 March 11 showing the disk-like, roughly north–south elongation of the coma and the lack of any normal tail. A scale bar shows 30″. Right: contoured version of the same image, with cardinal directions in white and the directions of the antisolar vector (−⊙) and the negative projected heliocentric velocity vector (−V) in yellow. The perpendicular extension of the coma is unique.